Chinese smartphone maker Xiaomi announced on Feb. 20 that it would expand into Pakistan, the sixth most populated market in the world. This is just one month after its international "face" Hugo Barra left. Emerging markets like Southeast Asia, India, Africa and Brazil and the more lucrative markets in the Western hemisphere are the apple of the eye of Chinese smartphone makers, who have seen the growth of the domestic market shrinking over recent years. "In general, the smartphone market will be relatively steady in 2017," said Wang Yanjun (alias Laoyao), a tech industry commentator. "The business landscape is almost settled down in the mainland market, but the competition has just begun for Chinese brands in overseas markets." 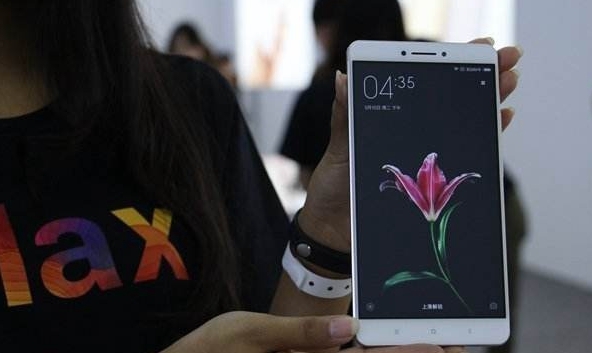 Xiaomi, one of China's largest smartphone manufacturers, has attempted entry into India, Indonesia, Brazil and the United States in recent years, but the road to these markets has been a bumpy one. It encountered lawsuits from "patent troll" companies in the U.S. in late 2015, and decided in mid 2016 to cease its manufacturing activity in Brazil because of the stringent taxation there. It was banned for a while in India due to patent issues in 2014, but managed to resolve the issues and is now among the top three smartphone brands in the world's second most populated country. Xiaomi's domestic shipment declined by 36 percent in 2016, trailing behind Huawei, OPPO and VIVO, according to IDC, a market data provider. But its sales in India topped 1 billion dollars last year, and its shipment more than doubled to 6.5 million. Now the phone maker is eyeing Pakistan, a country with 180 million people and only 40 million smartphones. Pakistan is in the midst of replacing regular phones with smartphones, with a sales ratio of about 6:4. The smartphone shipment in Pakistan was 13 million in 2016, according to IDC. Chinese phone makers see plenty of room in the market, which higher-end companies like Apple and Samsung have had difficulties to tapping into. Xiaomi chose to work with Pakistan's Smart Link Technologies, the first time it chose to work with a distribution partner to enter a new market. But some insiders have expressed doubts, saying that similar to many developing countries, people in Pakistan prefer brick-and-mortar stores over online stores, through which Xiaomi made its initial success in China and India. Xiaomi is not the only Chinese smartphone maker that has set its sights on foreign markets. In 2016, the shipment of China's top five smartphone makers reached 465 million, accounting for one third of the world's total. Huawei, OPPO and VIVO were ranked third to fifth, respectively, in the global market, with much higher growth rates than Samsung and Apple. The competition between OPPO and Huawei will largely be decided by their performances in overseas markets, Wang Yanjun asserted. OPPO's business has spread to the South Asian countries of Sri Lanka and Bangladesh, and African countries like Morocco and Egypt in recent months, expanding its foothold from 22 countries in 2016 to 27 countries now. Wu Qiang, the company's VP, previously told reporters it would focus on India and Southeast Asia instead of eyeing the entire global market. Huawei, on the other hand, has made breakthroughs in European markets. Its smartphones account for more than 15 percent and 10 percent of the market share in Northeast Europe and West Europe, respectively. Currently, Huawei has more than 15 percent of the market share in 33 countries and regions, and 20 percent market in 18 countries and regions, half of which are European countries. With its signature products such as P9 and Mate 9, the brand has narrowed down the gap with Apple and Samsung. Other smartphone manufacturers are also broadening their reach. Gionee, which grew by 21 percent last year, is aimed at India and African countries, especially Nigeria. ZTE has overtaken Apple to become the second largest smartphone maker in Russia. In addition, some Chinese phone makers are aiming at overseas markets only. Shenzhen-based Transsion, which has been in African market for more than ten years, is reportedly one of the top three phone makers in Africa with its star product Tecno phone. "The next ten years will be the golden decade for Chinese brands to go to the overseas market. It remains to be seen whether there will be any (Chinese-made) phone makers that emerge as internationally recognized," said Wang. Chinese smartphone makers are going abroad. Will they become internationally recognized in the near future?